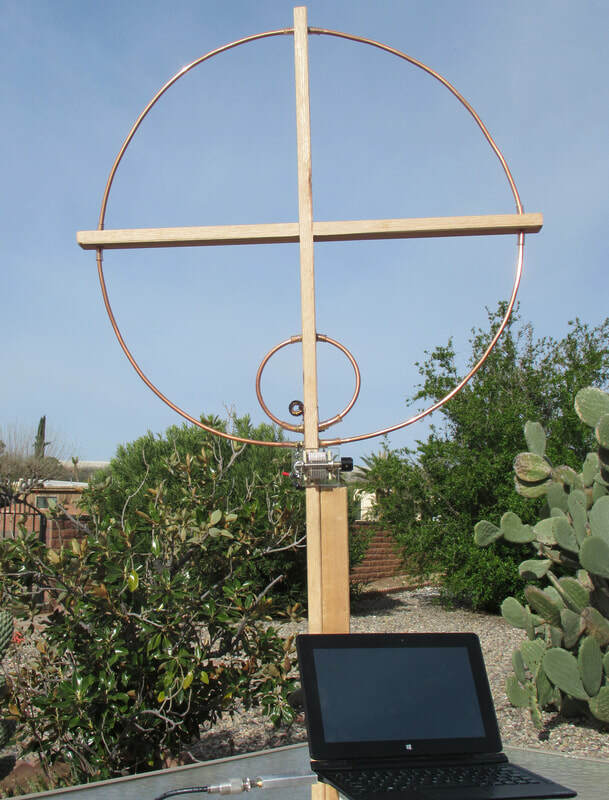 The DF Loop (direction finder loop) is an offspring of the ordinary loop antenna designed to be portable for use in locating RFI sources. 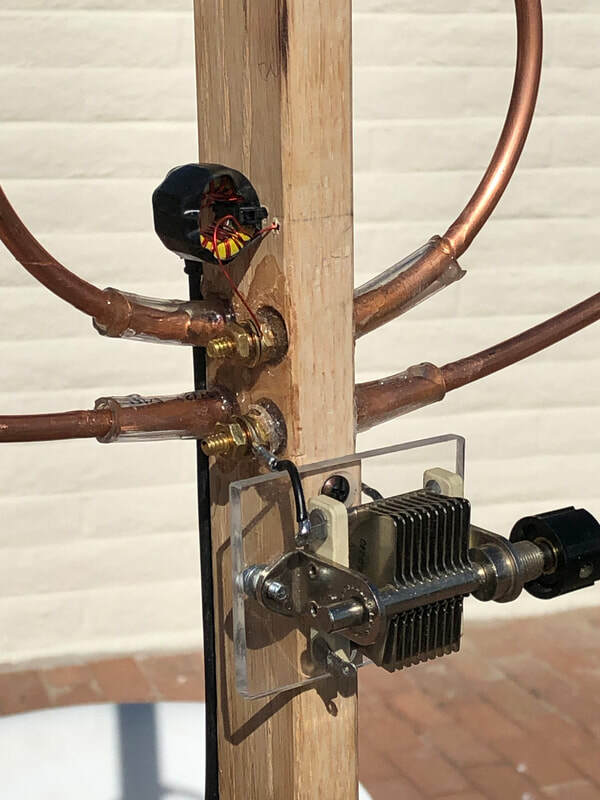 This unit was constructed for and donated to the GVARC to aid in assisting members in detecting and proving the location of offending RF interference. Construction of DF loops is well documented on the web so it was not taken on as Club project. It is hoped the Club will establish a committee trained in interference mitigation and that this DF loop will assist them. 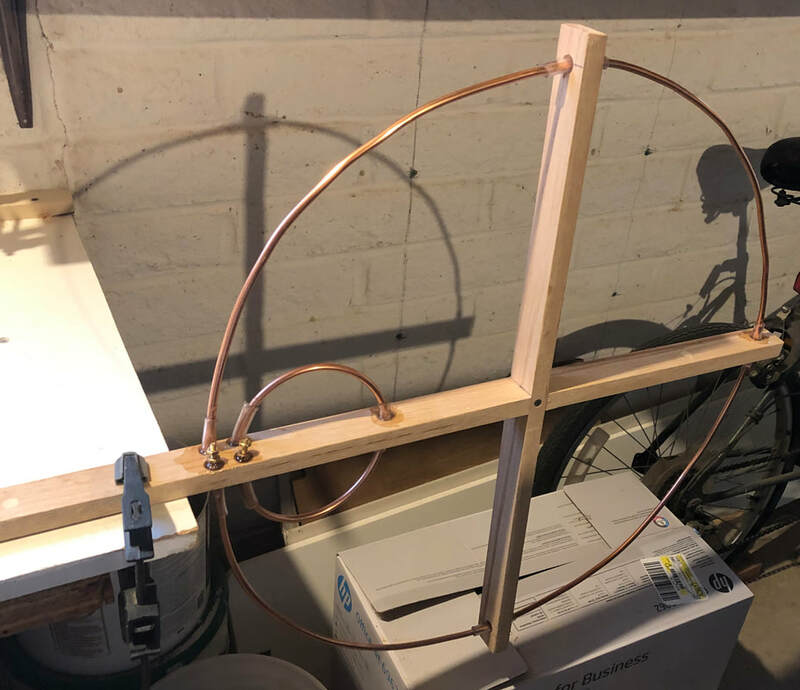 Completed 2 foot diameter direction finding loop with SDR dongle and tablet. An SDR (Software Defined Radio) even as a dongle type receiver can match or surpass the typical ham transceiver performance. These receivers present a spectrum display making it easier to track noise sources that vary in frequency. 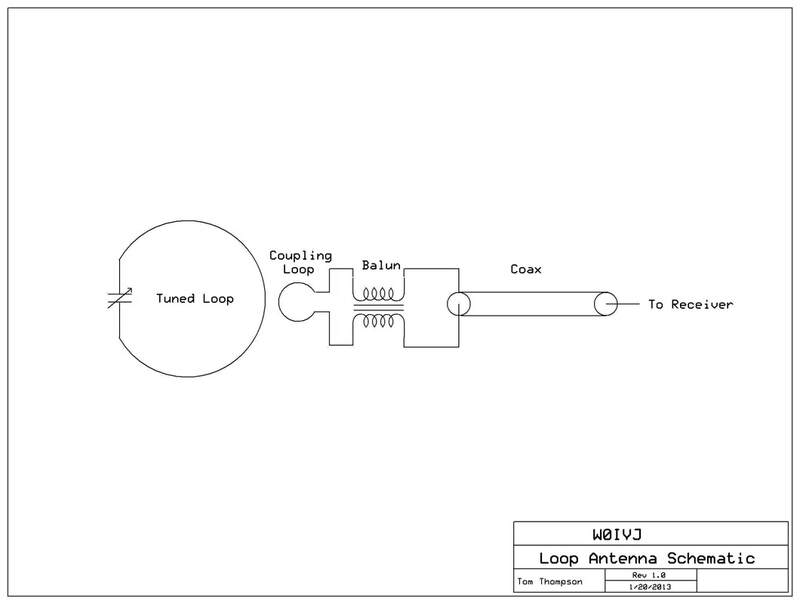 Schematic drawing of a simple DF loop antenna. Beginning construction of the loop made with a 1x2” piece of wood. Likely not needed, but contact of the loop with the wood was eliminated with plastic tube sleeves and epoxy glue. View of the air variable 150pf capacitor mounted on a small piece of Plexiglas and the balun made with 12 bifilar wound turns on a small ferrite core (random guess design). 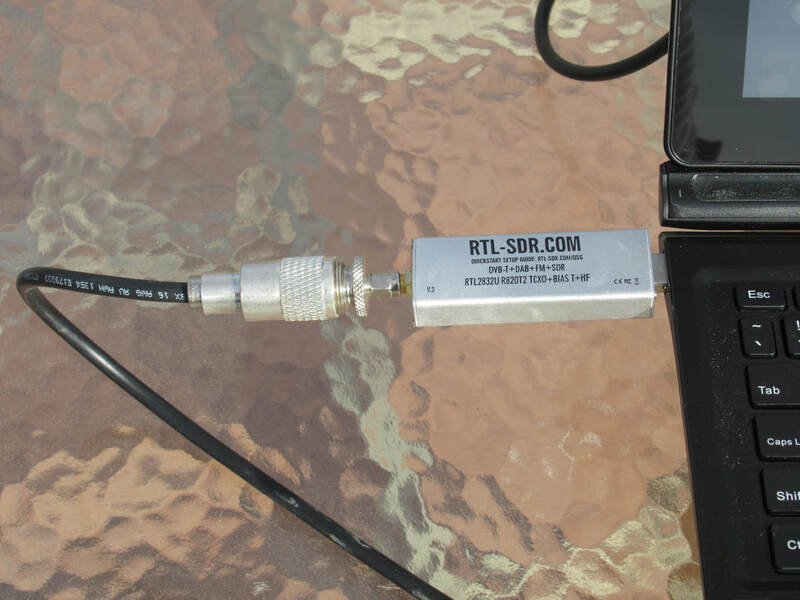 The dongle shown is a RTL2832U from RTL-SDR.com. That website will lead you to sales points, software sources and instructions. Many other units are available as well as a typical portable radio equipped with an S meter. Ideally a portable spectrum analyzer could be used. 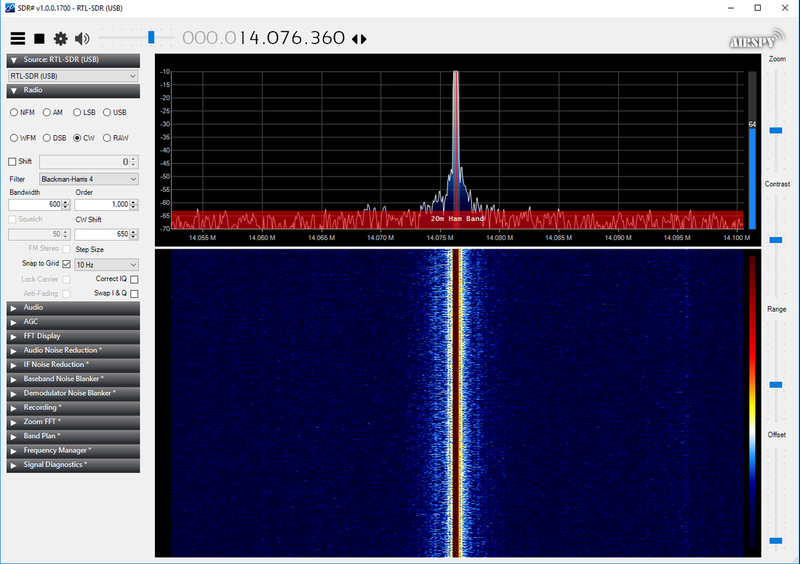 Screen shot of the RTL-SDR on 20 meters with a low power local signal displayed.